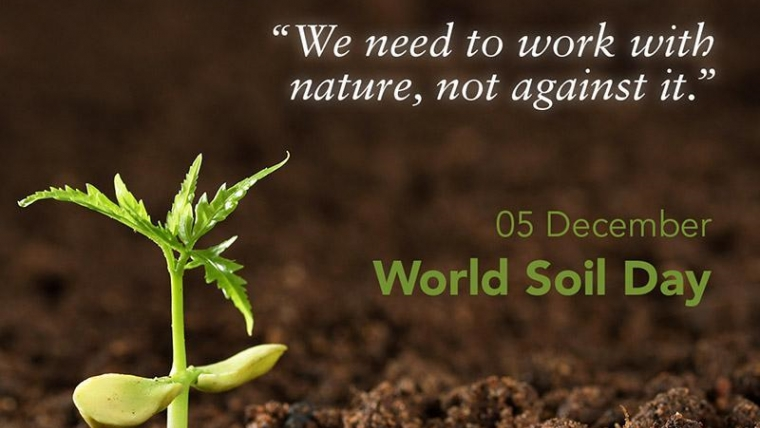 The International Union of Soil Sciences (IUSS) adopted a resolution in 2002 proposing 5 December as World Soil Day, in order to celebrate the importance of soil as a critical component of the natural resource system and a vital contributor to human well-being. One third of global soils are already degraded. More may be lost due to soil pollution, a hidden and sometimes invisible danger that affects many systems and people. With the world’s population expected to reach 9 billion by 2050, soil pollution is a worldwide problem which degrades soils, poisons food, contaminates drinking water, and degrades air quality. Finding solutions to and combatting soil pollution are clear priorities that require immediate, continuous and determined action globally. CNVP is a leading civil society organisation that is active in all six Balkan countries. It uses evidence-based analysis to improve the sustainable livelihoods of rural communities affected by the ongoing process of environmental pollution and climate change. CNVP’s six key areas of interest cover: sustainable forest management; climate change, environment, bio-diversity and balanced natural resource management; agri-rural development, including agriculture, forestry and wood energy value chains; renewable energy and waste management, including plastics; community mobilization; and policy issues related to EU accession.